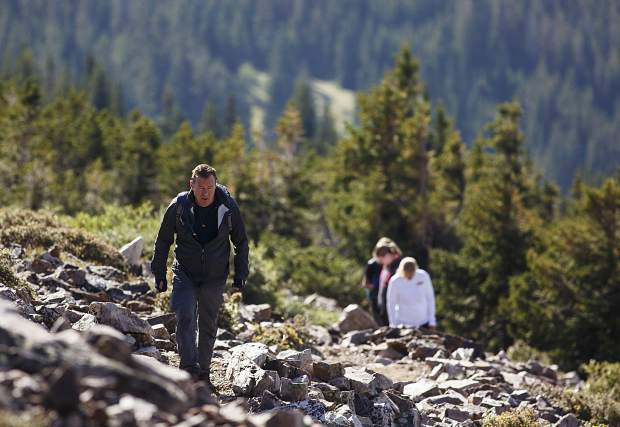 Hikers walk along the main trail to Summit County's Quandary Peak during a morning in August. New data again shows the 14er to be one of the state's most frequented, with 15,000-20,000 annual hiker visits. The number of visitors to Colorado’s most iconic mountains experienced a 20 percent increase in the last year, according to the latest counts. Approximately 311,000 treks up one of the state’s 54 official 14,000-foot peaks took place in 2016, according to the Colorado Fourteeners Initiative. The year prior, the group estimated a more conservative 260,000 hiker days — a metric that recognizes that use includes repeat climbs and people who hike multiple 14ers per year. The sizable uptick is not necessarily representative of a dramatic expansion in visitation or the number of hikers who have joined the “peak-bagging” trend during the prime hiking season. Instead, the CFI believes it’s more likely a result of fortified efforts and investment to get more accurate totals. 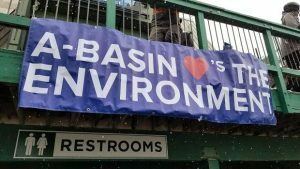 After Mount Elbert sat tied with Grays and Torreys Peaks — which border Summit County — and Mount Bierstadt with 20,000-25,000 visits from late-May to mid-October, the updated data moved Colorado’s tallest mountain into the new lead at 25,000-30,000 annual use days. Those other three remain in that prior elevated status. Just getting to the point of fully understanding all of this took considerable time and energy, however. The assistance of thermal counters starting in 2014, and subsequent grants to now deploy 20 of them around the state for this past year’s work, helped reach the current tallies. Now into the third year producing data, which entails working out the kinks of where best to position sensors and supporting formulas used to create realistic projections in locals where the U.S. Forest Service does not permit the equipment, he believes the numbers will only improve by the season. The numbers are important for CFI as it attempts to get buy-in from cities and towns where the various destination peaks exist so each will contribute funding toward trail building and maintenance. Outside of educating hikers on leave-no-trace wilderness practices and protecting delicate mountain ecosystems, upkeep of these public trails is the group’s primary mission. 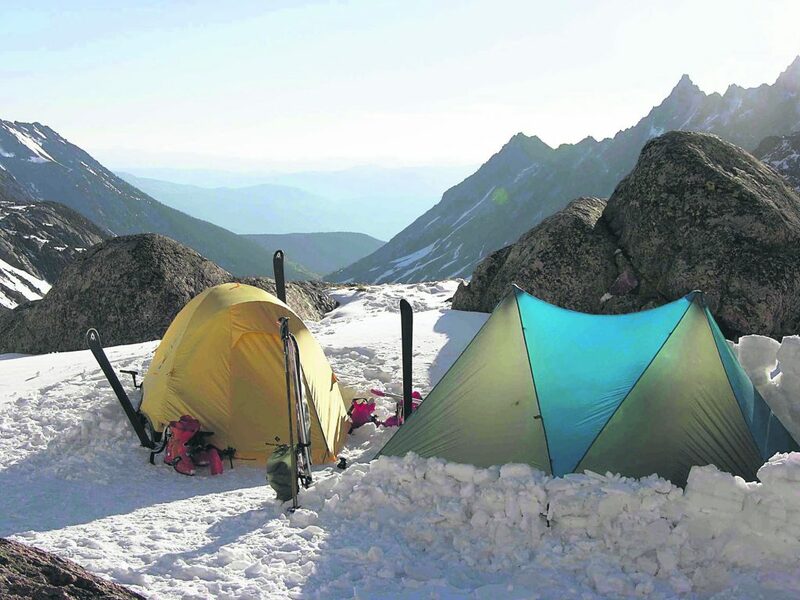 Using a 2009 study by two Colorado State University economists on Quandary Peak’s economic impact, CFI calculated that more than $84 million in consumer spending related to bagging 14ers was generated in 2016.